The Dons are back down in Glasgow this week with a trip to Ibrox to face Rangers. After being defeated in the Betfred Cup Final on Sunday attention turns to the league once again with eight games in December. 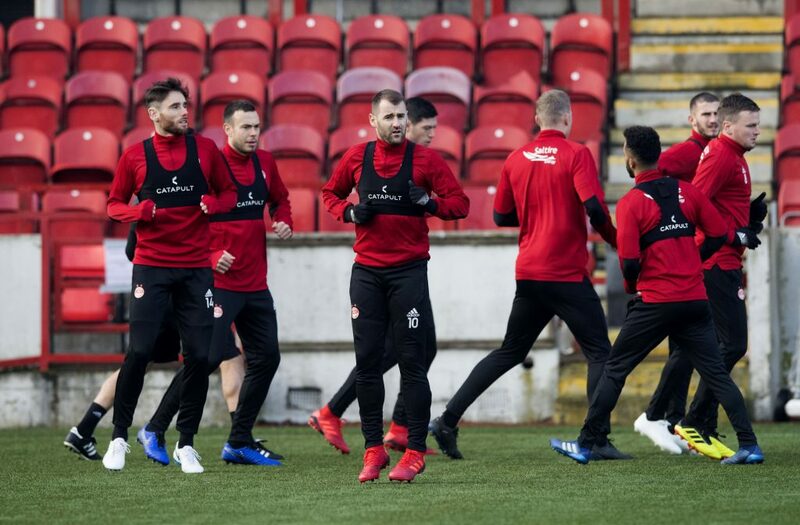 The Dons can take a lot of confidence from their performance at Hampden despite the defeat and know a similar display would put them in good stead to get something from Wednesday night’s match. On Tuesday morning Tony Docherty and Niall McGinn spoke to the media at The Dons hotel. “The motivation is already going to be there and it’s always been a tough place for us. We won there a couple of years ago and it was the first time in 20 odd years and that was a massive achievement so we want to get back to having those feelings again and that’s part and parcel of being at a big club. We’ve showed in previous years that December’s been a really good month for us and we’ve kicked on in January as well. So, we need to get back to winning ways as soon as possible and no more so than Rangers on Wednesday night. “It’s a very interesting league with some good teams up there with the likes of Kilmarnock doing very well. Although the likes of Hibs haven’t been doing great the last five/six games and Hearts as well, who started strong, there’s the likes of Livingston and ourselves so it’s just going to be a different league this season. Everyone’s beaten everybody and you expect Celtic and Rangers up there to be pushing for the title and we hope to be amongst it as well. Rangers go into Wednesday’s match having won their last four league matches. Their win at Tynecastle on Sunday lunchtime put Steven Gerrard’s ahead of the chasing pack at the top of the table and remain unbeaten at Ibrox this season with six wins and a draw, although The Dons have already beaten Rangers in Glasgow this season as well as drawing the opening day of the season. Wednesday marks the third meeting between the sides this season and The Dons can take a lot of confidence knowing they are unbeaten in the fixture this campaign. 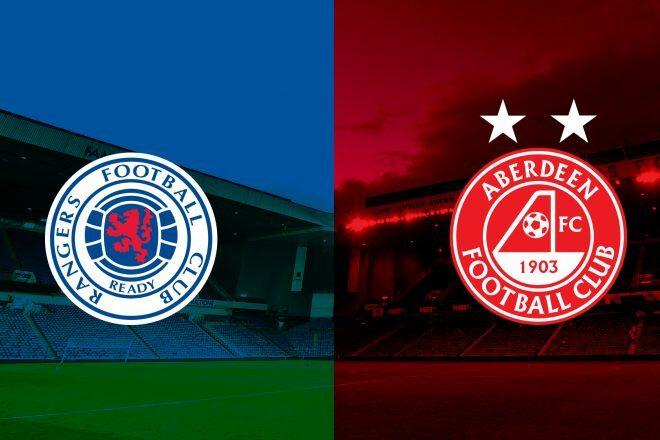 On the opening day back in August Rangers travelled to Pittodrie for their first league match under new manager Gerrard and it had everything the meeting usually produces. 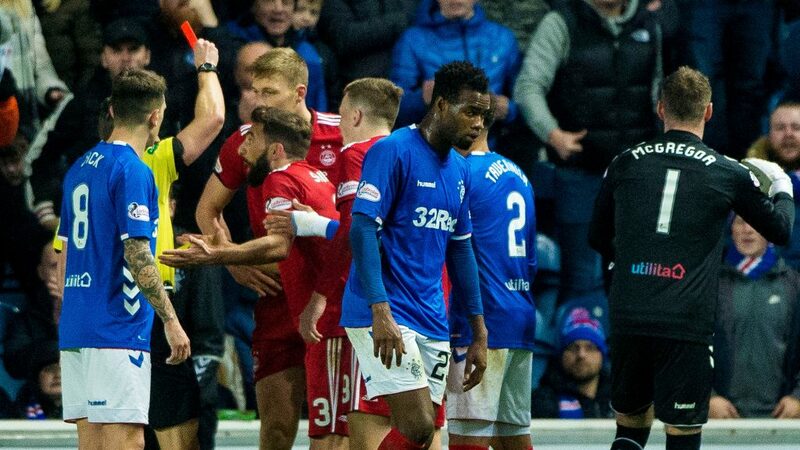 After only twelve minutes Rangers were reduced to ten men after Alfredo Morelos’s kick out at Scott McKenna was spotted by the linesman and the striker was sent off. Despite the man advantage Aberdeen couldn’t break down the well organised defence and it was the visitors who took the lead thanks to James Tavernier’s first half penalty. In the second half Aberdeen pushed for a way back into the game and Derek McInnes threw on youngster Bruce Anderson for his first team debut late on. It proved to be a masterstroke as Anderson grabbed a late late equaliser to earn his boyhood team a point in front of a delighted Pittodrie faithful. 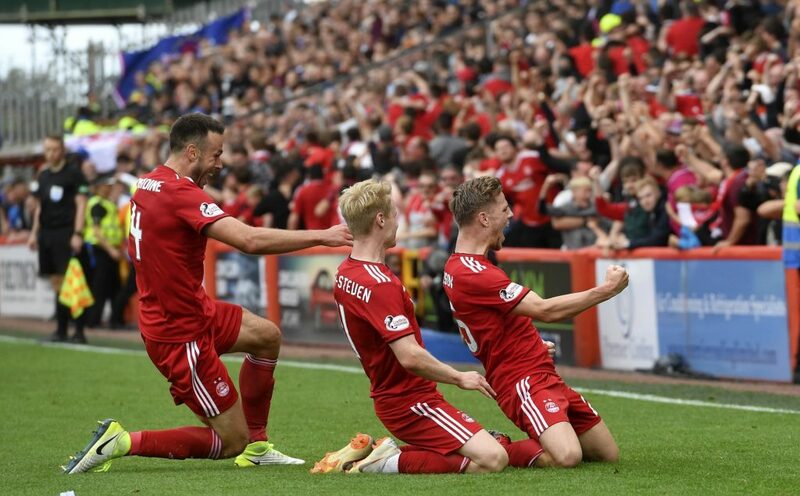 The Betfred Cup Semi-Finals produced two mouth-watering ties as The Dons and Rangers were paired together in the last four at the National Stadium. It was a tense afternoon with few moments of quality in the final third and despite Rangers having much of the ball they couldn’t make it count and were punished once again. Niall McGinn swung in a corner with ten minutes remaining and Lewis Ferguson leaped higher than anyone in the box to power home and send Aberdeen back to Hampden. The month of December offers Aberdeen a chance to climb the table with eight games between now and the end of the calendar year. The next seven days sees the visit to Ibrox before back to back home games against St Johnstone and Livingston with both teams sitting above The Dons. 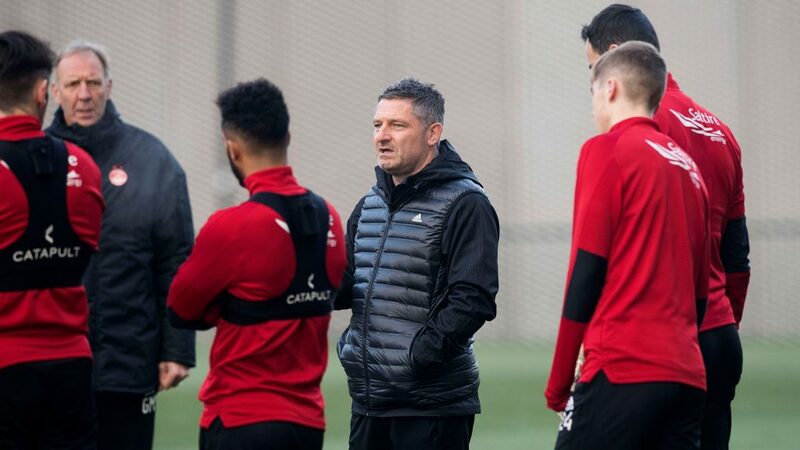 Derek McInnes made just the one change to the side that so narrowly lost the League Cup final on Saturday. Gary Mackay-Steven will be out for a few games with his head injury, so Connor McLennan came into the starting XI. In the opening minutes, Rangers had a couple of moves down the left but the crosses were dealt with. In the fourth minute, another cross from the left had to be headed behind by Dom Ball, giving Rangers the first corner of the night, which was cleared by Cosgrove. 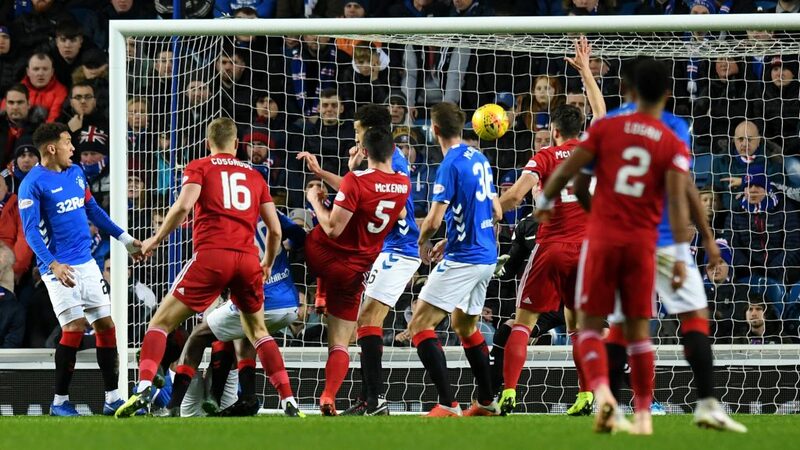 It had been all Rangers possession wise, but in the sixth minute, Graeme Shinnie won Aberdeen a free-kick about 35 yards out over on the left. McGinn in played a good ball which Cosgrove went up for. 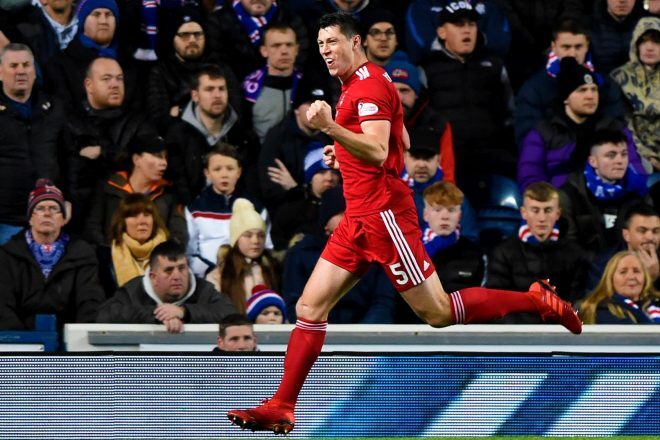 He did enough to knock it down and Scott McKenna produced a brilliant volley to hammer the ball past McGregor. In the eighth minute, there was good work from McLennan, who kept possession of the ball inside the area. He laid it into the path of Shinnie and his shot had to be stopped by the Rangers keeper. Cosgrove was then harshly yellow carded for a challenge. The goal had certainly upset the rhythm of the home side. A quarter of an hour in, Rangers had a free-kick about 35 yards out, in a central position but Cosgrove was again there to head clear. Big Sam had been heavily involved in the early stages and, in the 17th minute, he got on the end of a Lowe cross but his header looped up and it was an easy catch for McGregor. Some 20 minutes in and there was a good break by McGinn down the left. His cutback found Shinnie but he was eventually crowded out. A minute later, Rangers had a free-kick in a much more dangerous area but Logan, who gave away the foul, headed clear. A minute after that, Morelos was almost in but McKenna hooked the ball clear – the referee gave a free-kick against the Rangers striker anyway. More pressure from the home side came as they forced a free-kick and a corner in quick succession. From the corner Morelos headed into the side netting at the near post. Aberdeen were continuing to defend well but on the half hour mark, Coulibaly got on the end of a free-kick – thankfully he failed to hit the target as he probably should have done. The home fans were beginning to show signs of frustration but then on 33 minutes, Sam Cosgrove received a second yellow card in a disastrous moment for the Dons. There appeared to be very little in either of his tackles, particularly the second one. Replays show their was very little contact and the linesman appeared to give a goal kick. From there, it was going to be a very long hour for the Reds to play with ten men, especially after the exertions of Sunday. In the 40th minute, Middleton forced a brilliant save when from Joe Lewis when his low shot was tipped round the post. From the resulting corner, Morelos lost his marker but his header landed on the roof of the net. In the 43rd minute, there was a dangerous free-kick for Aberdeen as McLennan relived some of the pressure. Shinnie’s ball in was headed clear and Candeias should have done better on the break. 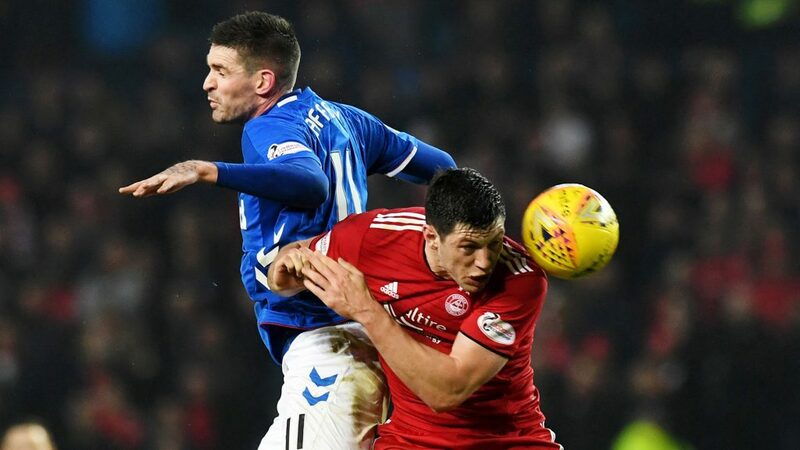 The game continued to be broken up by lots of fouls which suited Aberdeen, and they were able to comfortably control the game through to half-time. At the break, the home side made a change, Lafferty coming on for Flanagan. Aberdeen had more defending to do before a really well worked break saw McGinn find McLennan. The striker found some space inside the area but his touch let him down. Lafferty was then booked for a late challenge on Logan. Then in the 50th minute, the sub forced Lewis into a decent diving save. The ball was not cleared and a deflected Ryan Jack shot appeared to be sneaking into the corner but again Lewis was there, tipping the ball round the post with another superb stop. On 52 minutes, Shinnie was booked for a late challenge and four minutes later, another Rangers sub, Grezda, was able to get a shot on target but Lewis made a far more comfortable save this time. Aberdeen were still producing the odd break and McLennan and Ball might have done better on 58 minutes to create an opening as they had plenty of players coming up in support. Then McGinn toe poked a driven Shinnie cross towards goal, but his effort was straight at McGregor. On the hour mark, the first chance of the evening came for Morelos, but thankfully he blasted the ball over the bar from 10 yards out. His night was about to get worse. Three minutes later, the frustrated striker lashed out at Shinnie and received a second yellow card. With 25 minutes to go it was 10 v 10. Rangers could have been down to nine men when McGinn got the better of McAuley before being caught by his international team mate who was the last man, but the referee waved play on. Then Lafferty elbowed McKenna, but again the referee took no action. The fact McKenna was bleeding was surely all the evidence that the officials needed. It should have been a straight red, never mind a second yellow. On 72 minutes, McLennan was replaced by Stevie May. The youngster can be proud of his performance again. Rangers then won a couple of corners but again the Dons defence stood up to everything that was thrown at them before, after 82 minutes, Niall McGinn was replaced by Scott Wright. A minute later May broke and Aberdeen had a two on two. The striker might have gone himself but instead looked for Lowe inside the area and Rangers were able to clear the ball behind for a corner. With six minutes to go, the home fans were starting to leave but there was still work to be done, especially as there was four minutes of added time. 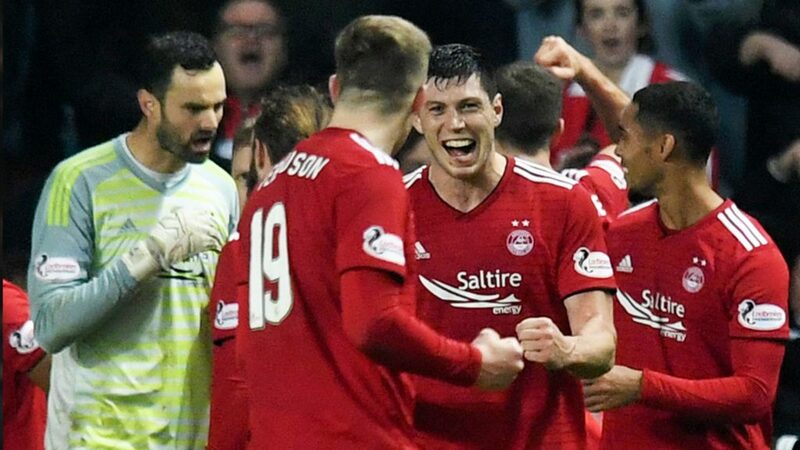 In the final minute, McKenna made a brilliant tackle on Jack and Aberdeen had held on for a most famous victory to head back into the top six.